What are over 6 times more venomous than the most venomous snake in Australia and there is no anti-venom available – the Blue-ringed octopus and cone shells. This post is about a true story from one of my First Aid courses about the Blue-ringed octopus, but it could have just as easily been about a cone shell as the toxin and effects are the same. 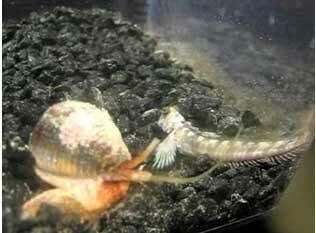 In tide pools and coral reefs in the Pacific and Indian Oceans from Japan to Australia. 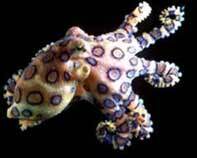 Blue-ringed octopus are small (120mm to 200mm or 5 to 8 inches), colourful and change colour when disturbed which makes them attractive to play with. “I was looking in rock pools on a lovely sunny day on the Sunshine Coast, when I saw this cute little octopus. I scooped it up in the palm of my hand to show a friend and was amused to see it change colour and the blue rings really showed up. The bite wasn’t painful and the first thing I noticed was numbness in my lips and tongue and then I started to feel very weak. I felt sick, had difficulty swallowing, then speaking, then breathing. It all happened quite quickly. I had no idea what was happening, I felt mentally alert but it was like my body was shutting down. I’m pleased to say due to the prompt action of those who knew what to do she made a full recovery and is leading a full and normal life – although she is more careful around rock pools now! Texts books will tell you to apply a Pressure Immobilisation Bandage, but in reality the toxin is so potent and works so quickly you may not have time. • Do not stop CPR, the motor paralysis is temporary and will fade over a period of hours as the toxin (tetrodotoxin or TTX) is excreted by the body. As an aside, TTX plays interesting roles in various human rituals. Fugu, the Japanese delicacy, is prepared from pufferfish that contain lethal doses of TTX. It is estimated that each year close to a hundred people die from eating fugu that has not been properly prepared. TTX is also claimed to be an active ingredient used by some Haitian voodoo sorcerers to create “zombies”. 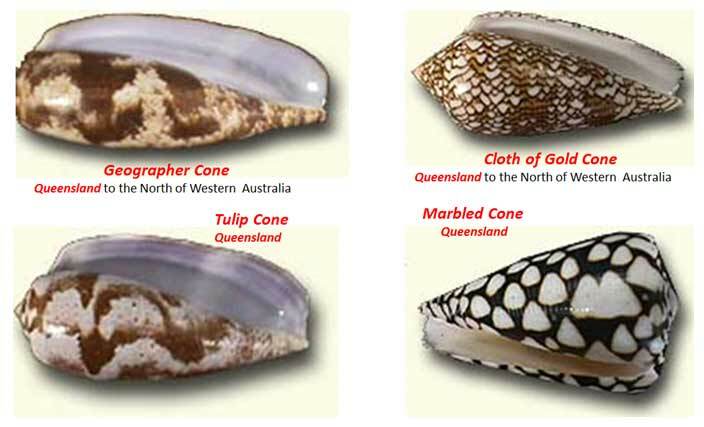 Next time you see a cone shell in a bathroom as decoration, you may not see it in quite the same light as they are as deadly as the Blue-ringed octopus. They are hunters who use a harpoon to catch and paralyse their prey. As the harpoon can reach to the back of the cone shell, there is no safe way to pick one up. Appreciate their beauty, but do not go with striking range of one. 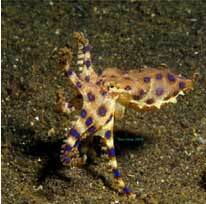 First Aid is the same as for the Blue-ringed octopus.